St Patricks Day in Liverpool is just around the corner, the one day of the year in which non-Irish people the world over wear green, drink Guinness and wish you “top of the morning” way into the afternoon when the joke has worn thin. Liverpool has a deep-rooted history of ties with Ireland. In fact, the Irish famine saw a wealth of Irish men, women and children come to the city in search of a new home. By 1851, more than 20 per cent of Liverpool’s population was Irish. Notably, the only places to have a larger Irish population were Dublin and New York. Liverpool even had distinctly Irish-speaking districts such as the area around Crosbie Street. 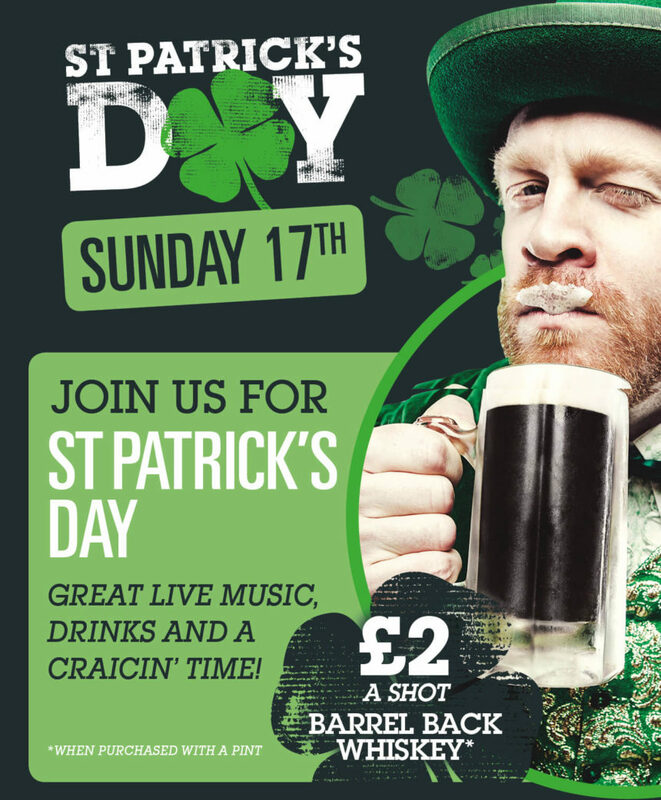 There are few better places to start the Paddy’s Day craic than O’Neill’s, Liverpool. And this year, you can look forward to a St Patrick’s week packed with festivities. 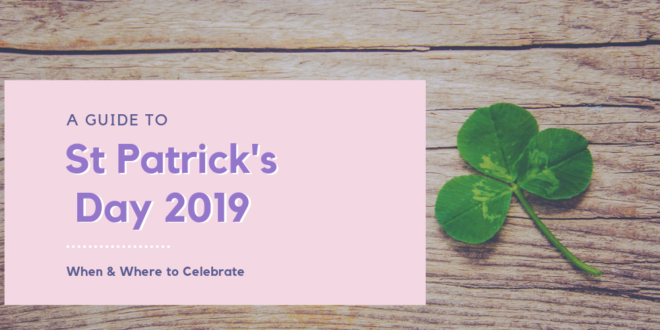 Get your St Patrick’s Day fix with delicious Irish dishes, fancy dress and, of course, copious amounts of cider, Guinness and whisky. Head down to the self-proclaimed “home of St Patrick’s Day” and dive Guinness hat first into the festivities. This St Patrick’s Day in Liverpool, Baltic Market is set to shower you in shamrocks, Guinness and Tayto crisps. And you won’t want to miss out on the action. 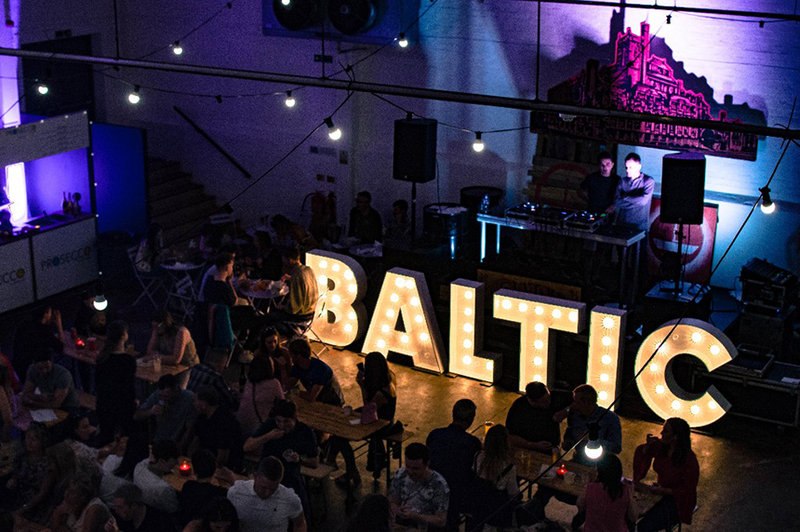 Indeed, a visit to Baltic Market wouldn’t be complete without your favourite food stalls. From wood fired pizza to halloumi fries, there’s something for everyone to line their stomachs with. If you want to embrace Liverpool’s St Patrick’s Day traditions, then look no further than the Liverpool St Patrick’s Day Parade 2019. The spectacular parade is the perfect way in which to celebrate the day. The procession starts to walk from The Old Irish Centre at 12:00pm. They then parade through Mount Pleasant, Hope Street, Hardman and Leece Street, Renshaw Street, St Georges Plateau, Roe Street, Hood Street and Dale Street, before concluding on Castle Street. 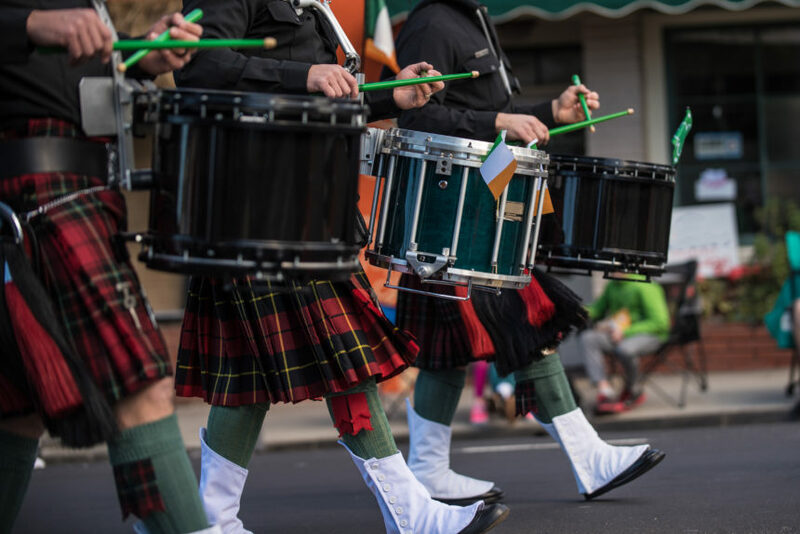 This year’s parade currently has six confirmed bands to entertain the crowds, such as Liverpool Katumba Drummers, Batala Merseyside and Liverpool Irish Flute Band. 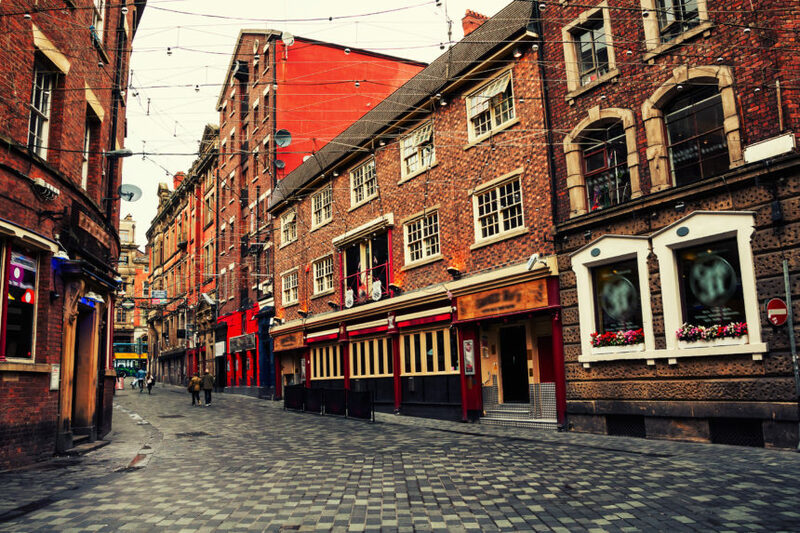 Renowned as Liverpool’s liveliest Irish bar, McCooley’s is always packed with atmosphere. St Patrick’s Day, however, is on another level entirely. Ready to play host to the most Irish day of the year, McCooley’s is the place to be for a wide range of emerald goodness, from delicious bites to eat to tasty drinks. With the feel of a real Irish knees-up, this is one for the top of your to-do-list when celebrating St Patrick’s Day in Liverpool. And if you want to get your day off to a flyer, McCooley’s are plating up a “fry and pint” for just £10 from 7am – 12 noon. Stick on your orange beard and don your over-sized, novelty Guinness hat because Ireland is coming to The Camp and Furnace this St Patrick’s Day in Liverpool. 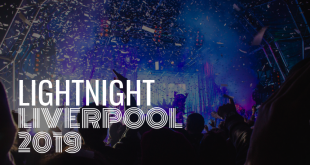 Bringing Liverpool’s legendary warehouse a taste of Irish shenanigans, don’t miss out on the ultimate Paddy’s Day weekender. From Paddy’s Ulster Breakfast to a sh!t Irish Disco special, Camp and Furnace is the place to be this year. This popular celebration is set to show you how the Irish party, with everything from Guinness to your favourite Irish tunes played by our very own Jonny Bongo. Expect the unexpected at this perfect Paddy’s Day party. Southport’s best Irish bar, Punch Tarmey’s is sure to give any pub in the city centre a run for its euro. If you’re in the mood for a traditional Irish sing-along this St Patrick’s Day, then head further afield to Punch Tarmey’s – one of the best and bounciest Irish bars on Merseyside. Over the weekend, Tarmey’s will have live music from the superb Three Amigos along with games for the entire family to enjoy. You won’t get a better pint of Guinness than in an Irish pub – and don’t you dare put blackcurrant in it. But why have one pint when you can have one in every single Irish pub Liverpool has to offer. Round up your friends this St. Patrick’s Day, book Monday off from work and have a craic at this Irish pub crawl. Start at Shenanigans for, apparently, the best pint of Guinness in Liverpool, then head to The Blarney Stone, Flanagan’s Apple, Pogue Mahone, Lanigans and O’Brien’s before finishing in O’Neill’s. You may not remember much of it, but this ultimate Irish pub crawl is a must this St. Patrick’s Day in Liverpool. BrewDog has got plenty in store for you this St Patrick’s Day in Liverpool. And if beer is your drink of choice, then this is the perfect place to party. Everyone’s go-to gaff for craft beers BrewDog, as usual, will be showcasing some of the very best beers from across the Irish Sea. You can taste a wide selection of beers from Ireland’s best breweries, be it Kinnegar’s Olan’s Tart to Boundary’s Forever Ago. Make sure to pay a visit to BrewDog this St Patrick’s Day in Liverpool. 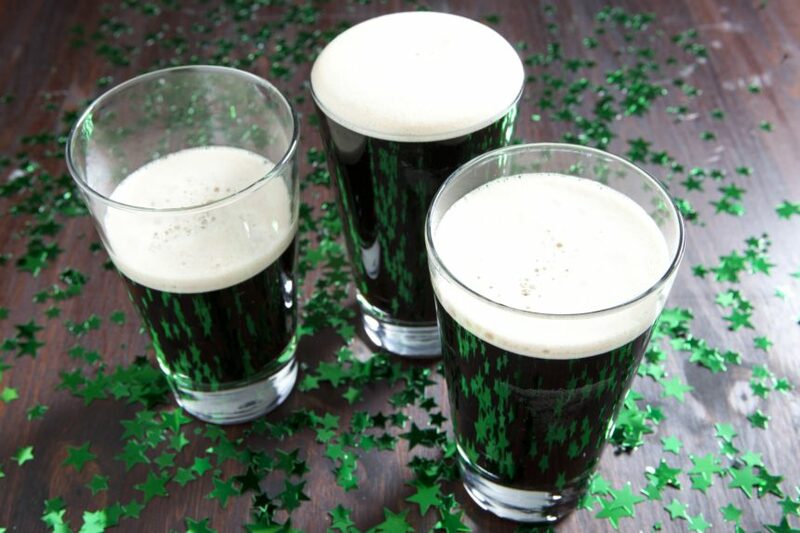 So, from all of us at Signature’s Liverpool we wish you an happy St Patrick’s Day in Liverpool! We’re sure it will be one to remember. And with the next day in mind, take a look at the best ways to cure a hangover after Paddy’s Day.